Over 25,000 British Muslims performed Hajj this year, an increase to last years numbers after Hajj quotas were restored. 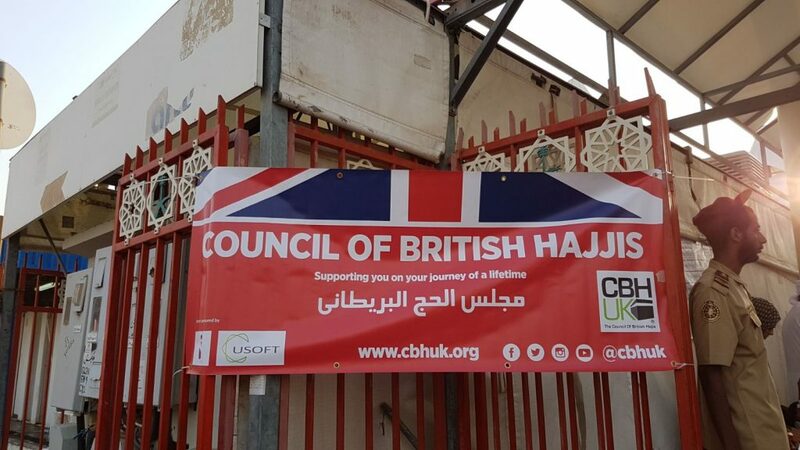 The Council of British Hajjis (CBHUK) a natonional charity deployed a team to extend ground support to British Pilgrims working with its partners at this year’s Hajj. Chief Executive Officer of CBHUK Rashid Mogradia said “On behalf of the British Muslim community I extend my thanks and appreciation to the Custodian of the Two Holy Mosques, King Salman bin Abdul Aziz Al Saud for services offered to pilgrims. I wish all pilgrims Hajj Mabroor – an accepted Hajj”. This Hajj season was a rather challenging year as we saw temperatures rise to well over 45 degrees, which affected many pilgrims including seasoned hajjis during the days of Hajj. 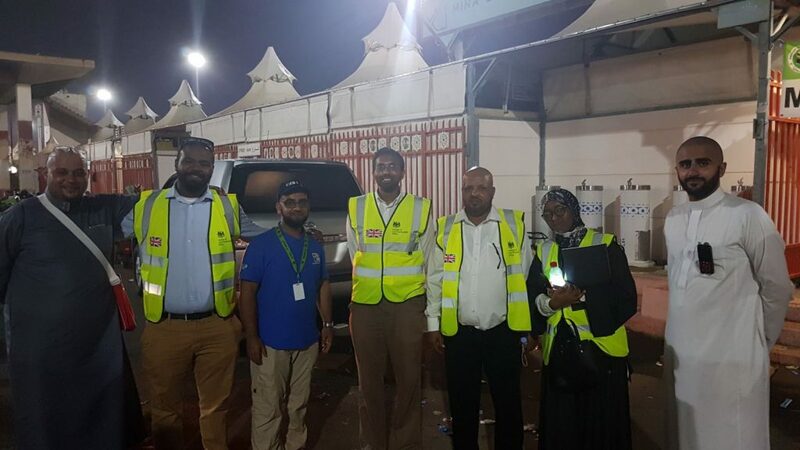 We dealt with locating lost pilgrims and signposting those who needed medical assistance to the Saudi Clinics and our partners. 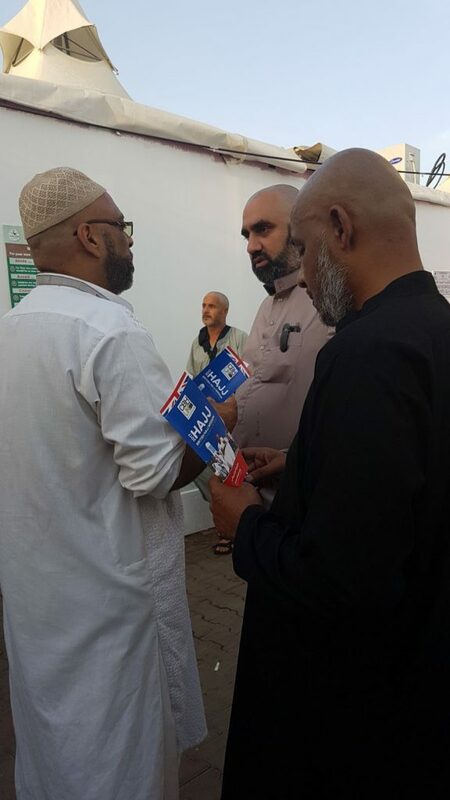 In other cases our volunteers assisted the elderly to perform the Hajj rites. 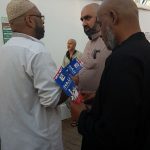 Our Hajj health and safety awareness and education in the British camps offered solace to pilgrims with a Hajj information leaflet being distributed for the first time. i-Pilgrim, one of the sponsors of the leaflets said “it is assuring to know that pilgrims appreciated the efforts of CBHUK. We will be working with them to develop a unique Hajj App which should be ready for the upcoming Hajj & Umrah Season”. 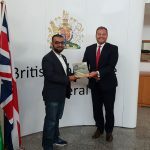 The British Consul General Barrie Peach deployed a consular team from Jeddah who visited the British camps offering consular support to those who needed assistant. 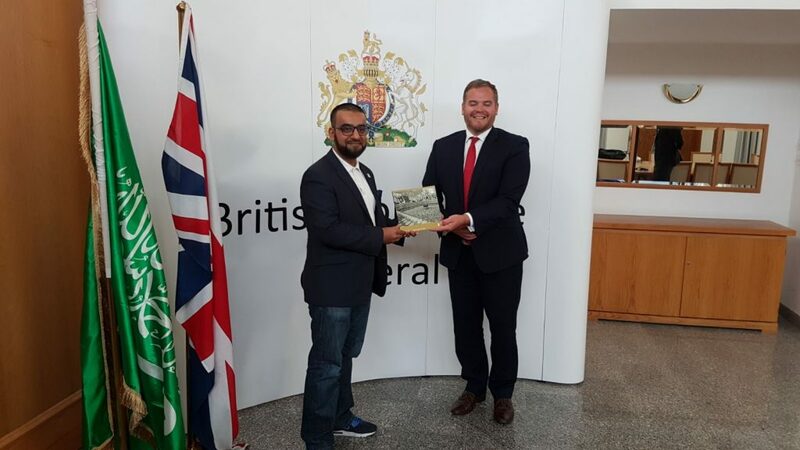 Kabir Rahman, Deputy British Consul and his team spoke to British Pilgrims and Hajj organisers to gain valuable feedback from Hajj. 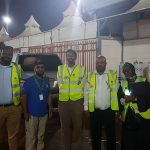 Both CBHUK and the Consular Team took a walk around the Mina camps to assess needs of British pilgrims with a view to developing services offered to British nationals performing Hajj in the future. 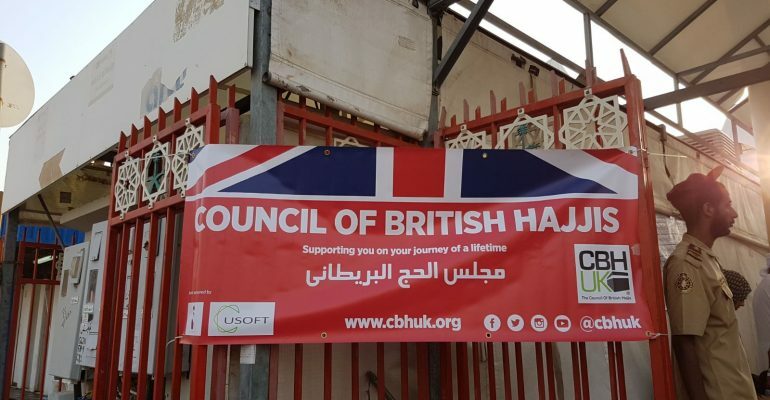 Official British government medical support to British Hajjis ended in 2010 and focuses now on consular support with a “preventative rather than cure” approach. 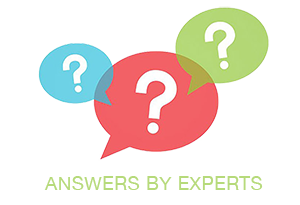 Welfare and Medical support is provided by the UK voluntary sector.